Another Magazine, one of the most influential and groundbreaking magazines in the world today, presents the first in a series of collectable books. 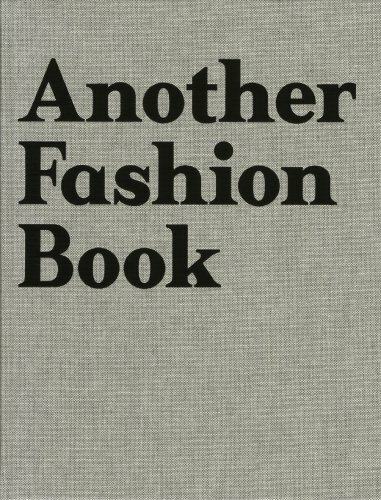 Another Fashion Book rediscovers the photographic stories commissioned exclusively for its fashion pages over the past 8 years. For the first time, Another Fashion Book brings together in one volume extensive work by the most iconic names in fashion and art photography including Craig McDean, Nick Knight, Mario Sorrenti, Sam Taylor-Wood, Horst Diekgerdes, Stephen Shore, David Sims, Terry Richardson, Willy Vanderperre and Glen Luchford. Often blurring the boundary between art and fashion, the images are a distinct record of photographic innovation during the start of this century. Through a highly-considered commissioning process, Another Magazine and its community of photographers and stylists bridged the gap between the European and American style-divide of the 90s, to evolve a new international fashion language that has in many ways come to define the look of this decade. Creative director David James has recontextualised the archive, allowing an entirely new appreciation of the work, focusing solely on the outstanding fashion photography. All the images selected for publication have been specially reprinted for the book.